Popularity Papers: THE BLOG: The Popularity Papers goes West! My name is Amy Ignatow and I wrote a book called The Popularity Papers: Research for the Social Improvement and General Betterment of Lydia Goldblatt and Julie Graham-Chang. 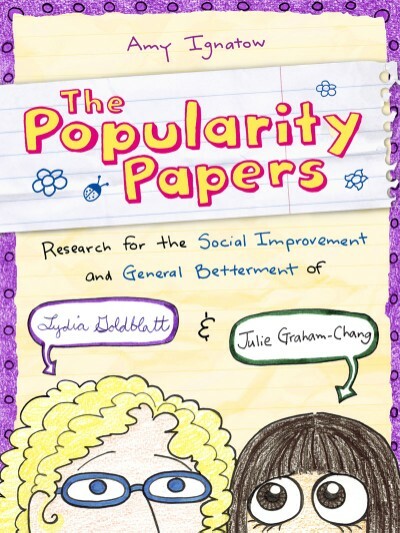 When I wrote The Popularity Papers: Research for the Social Improvement and General Betterment of Lydia Goldblatt and Julie Graham-Chang I thought it would be hilarious to give my book a super long name. 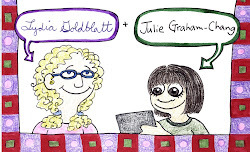 I did not imagine that I'd be saying "The Popularity Papers: Research for the Social Improvement and General Betterment of Lydia Goldblatt and Julie Graham-Chang" as much as I do, but I'm going on tour this summer to promote the book, so I'd better learn how to say it without my eyes rolling into the back of my head from the effort. Anyhoo, this is my blog. My husband and I are going to be driving our bright yellow car from our home in Philadelphia to Denver and back this summer to promote The Popularity Papers: Research for the Social Improvement and General Betterment of Lydia Goldblatt and Julie Graham-Chang (oh, let's just call it "The Popularity Papers" from this point on) and I'll be keeping this blog on the journey. Tali: our car, and subject of the hit song "Tali the Bumblebee"
Excited to be the first to comment and wish you all the best! Hey Amy, I wish you, your husband and Tali a hearty and successful tour! May at least one child and no weird drifters be at every signing. If so, you are a success! I am doubly jealous right now because we just had to cancel our big "August 2 Store Tour" because we can't actually afford to fly back from China in August (REALLLLY EXPENSIVE!). We will transfer it to Feb. though and just add snow to the excuses people make for not coming.